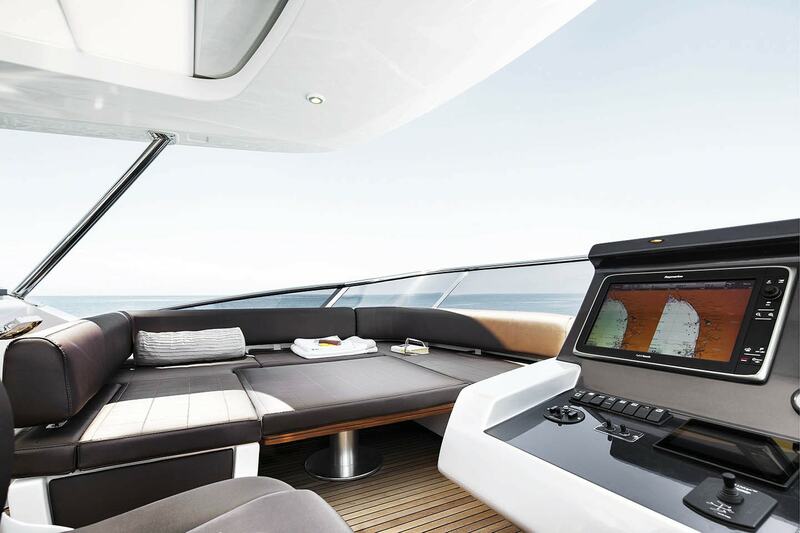 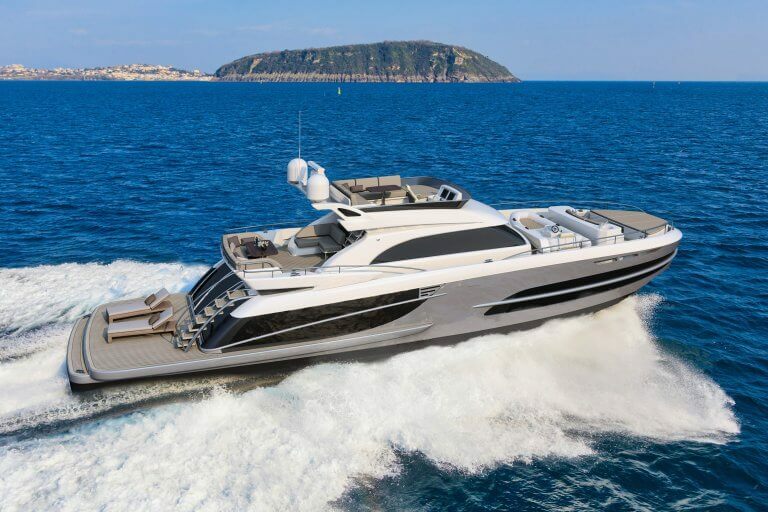 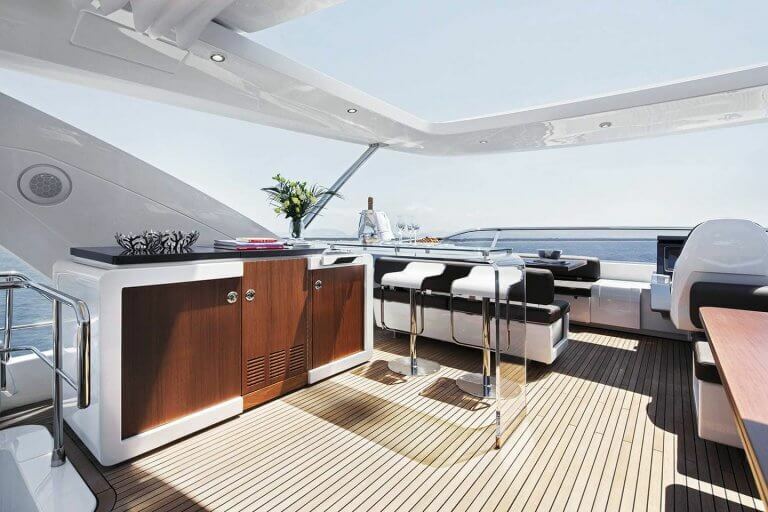 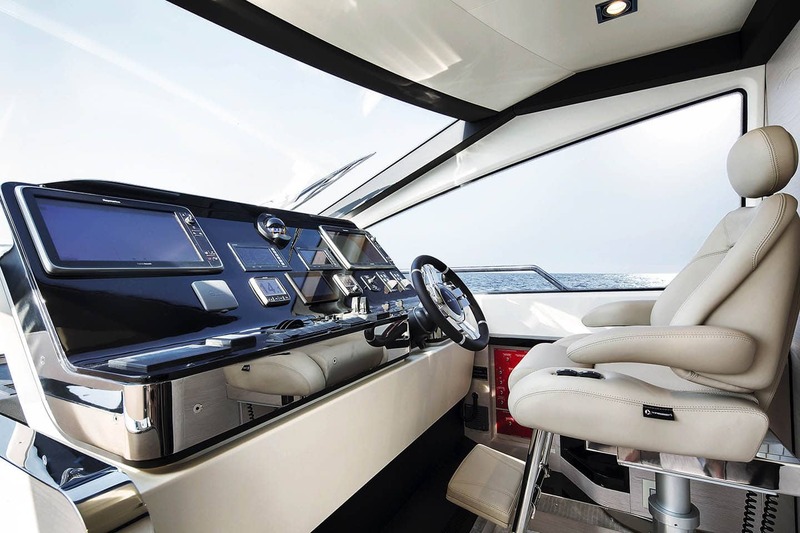 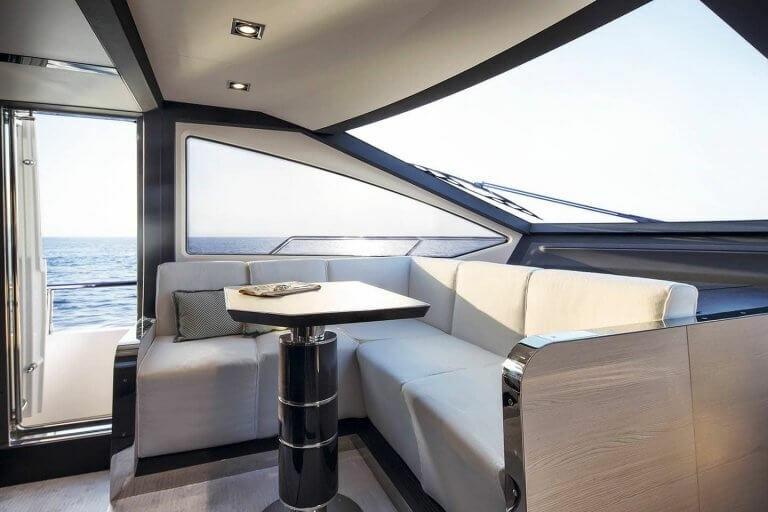 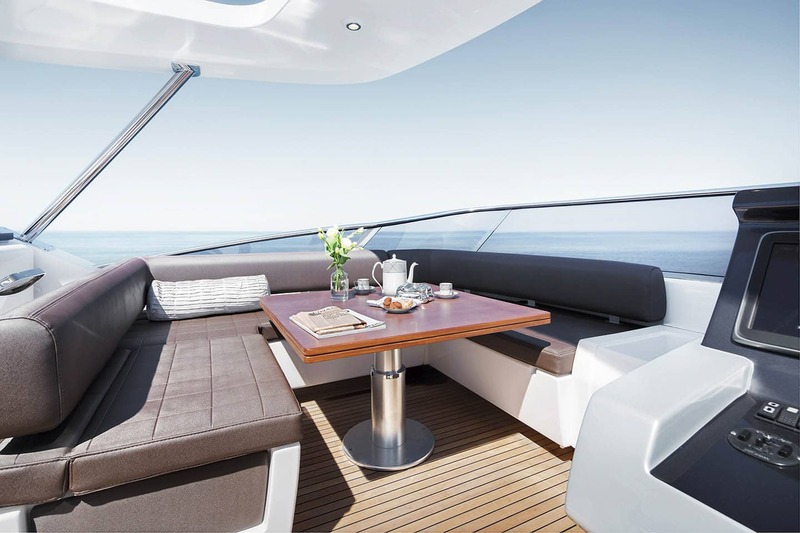 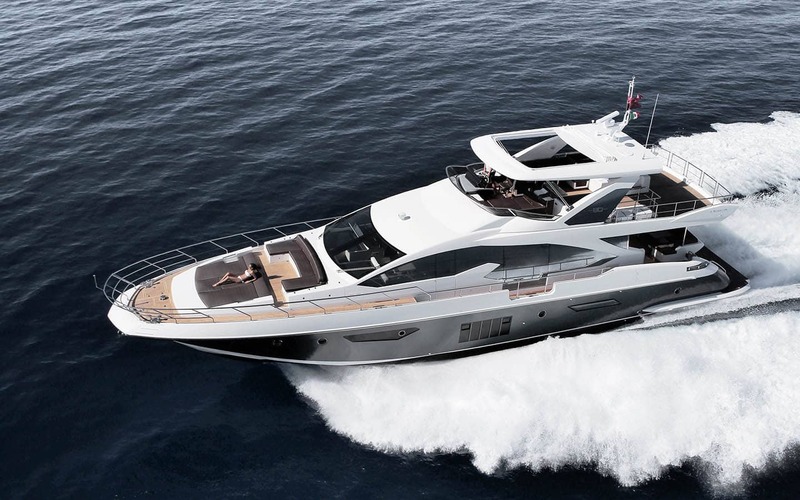 The Azimut 80 perfectly illustrates the Italian shipyard’s expertise in balancing the realities of production line economics with client’s high expectations of a bespoke finish. 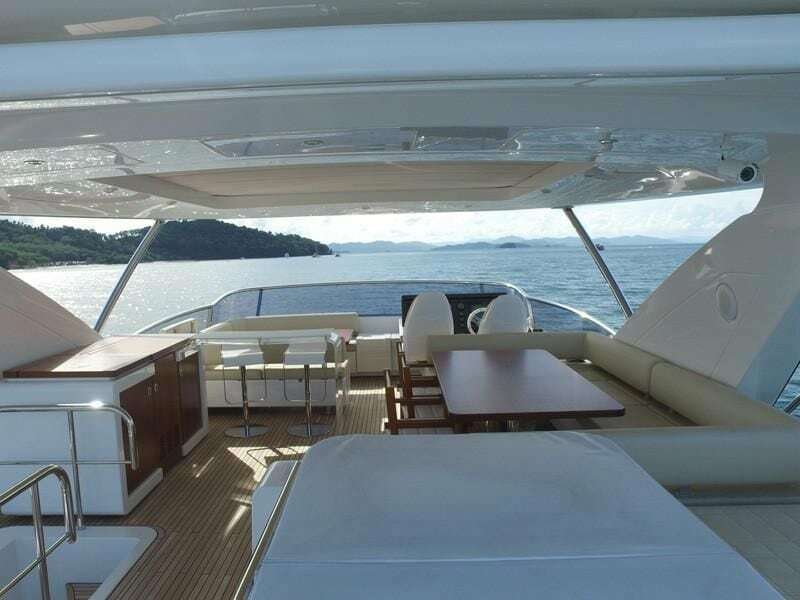 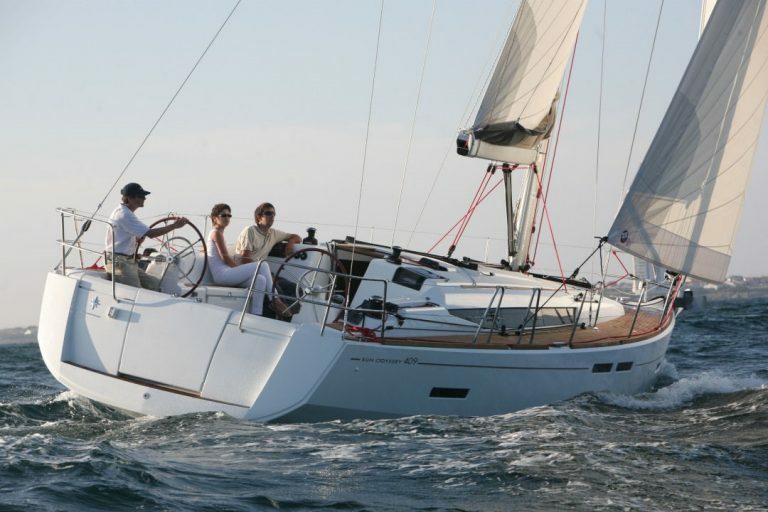 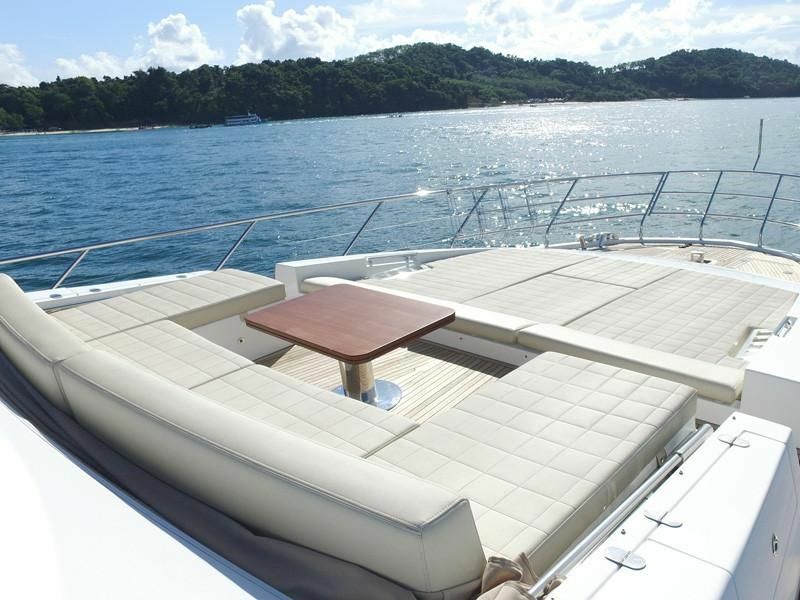 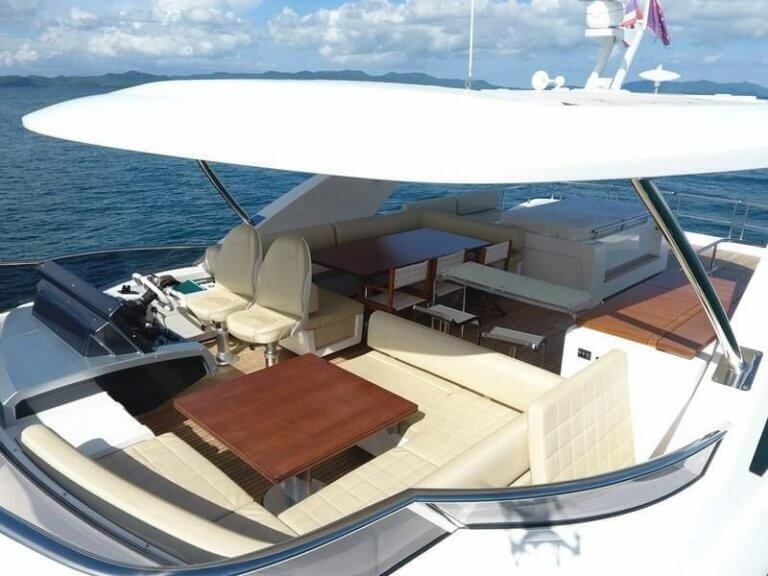 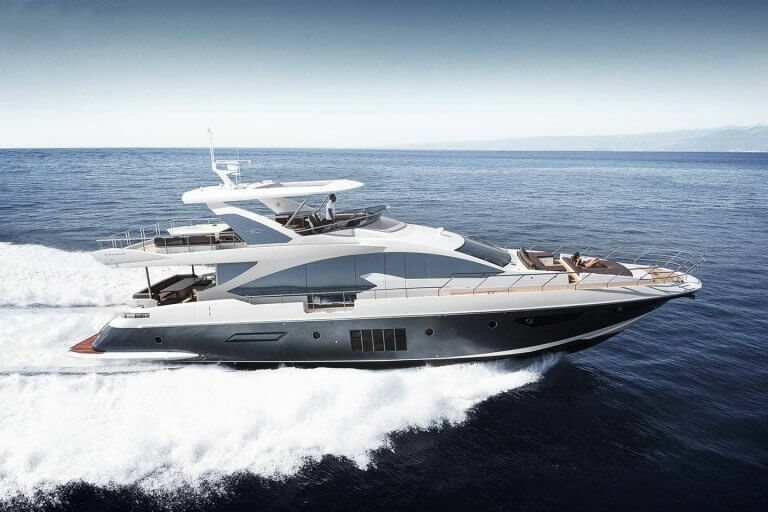 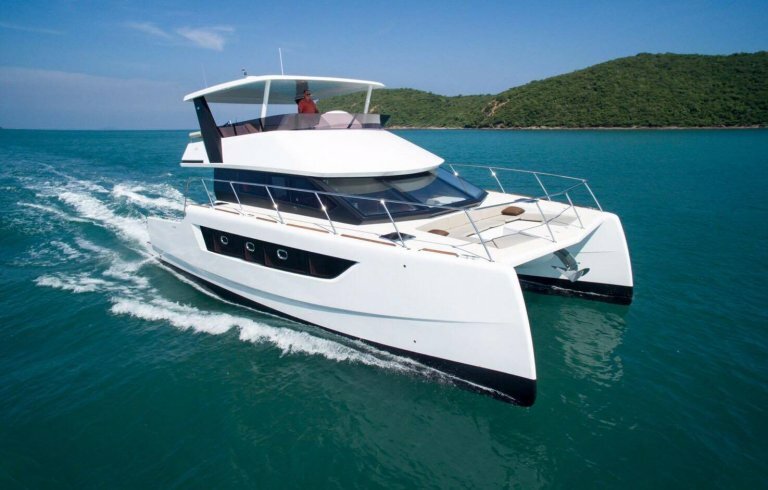 This beautiful and highly optioned Azimut 80 would impress a buyer wanting an attractive and great sized family yacht. 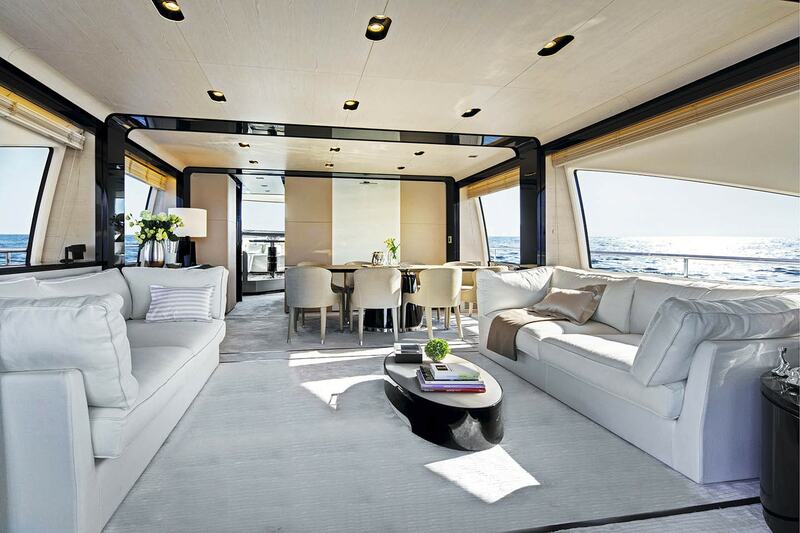 This model features an open galley with a blind that can be lowered for more privacy to the living area. 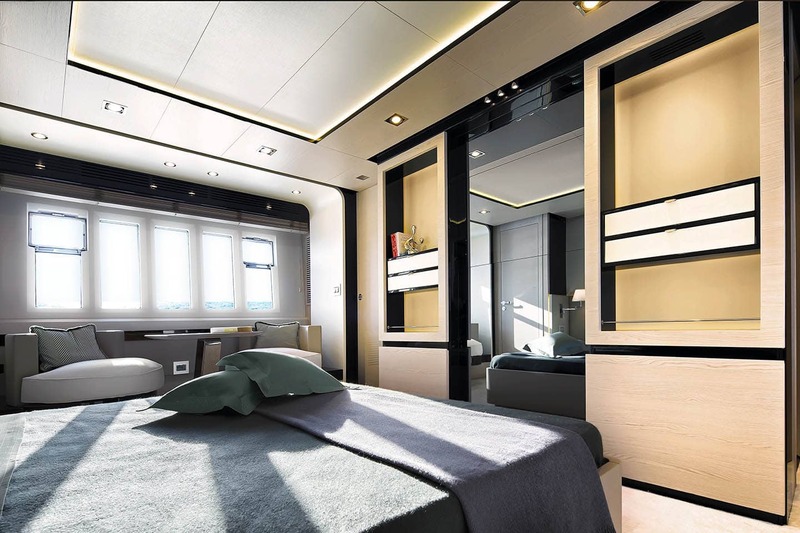 The lower deck accommodation features a VIP cabin forward and a double cabin to port with a twin cabin to the starboard side. 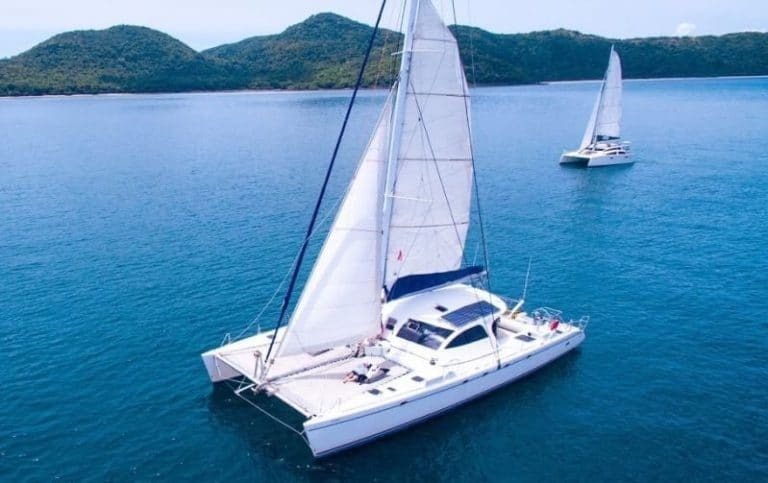 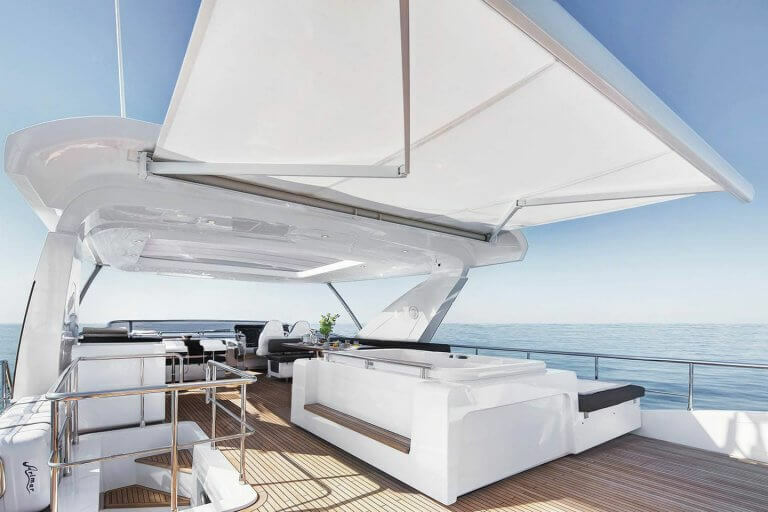 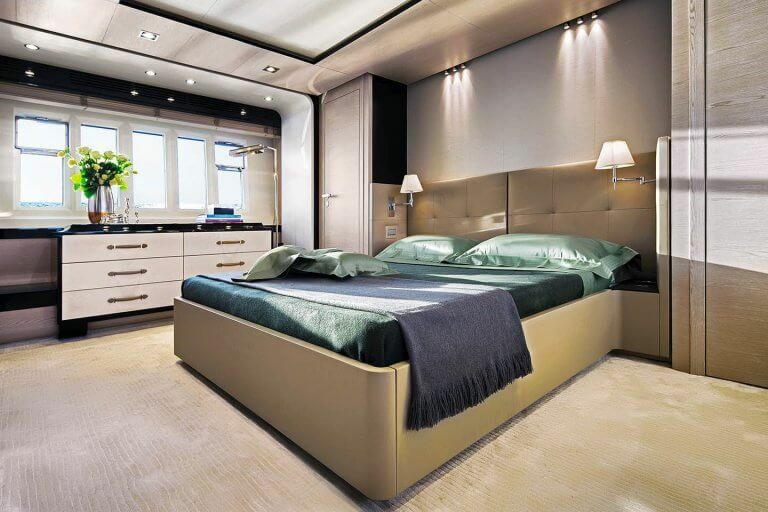 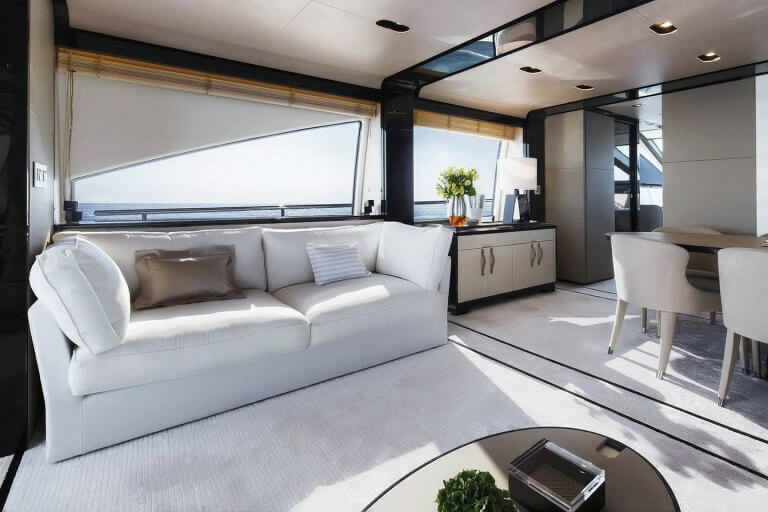 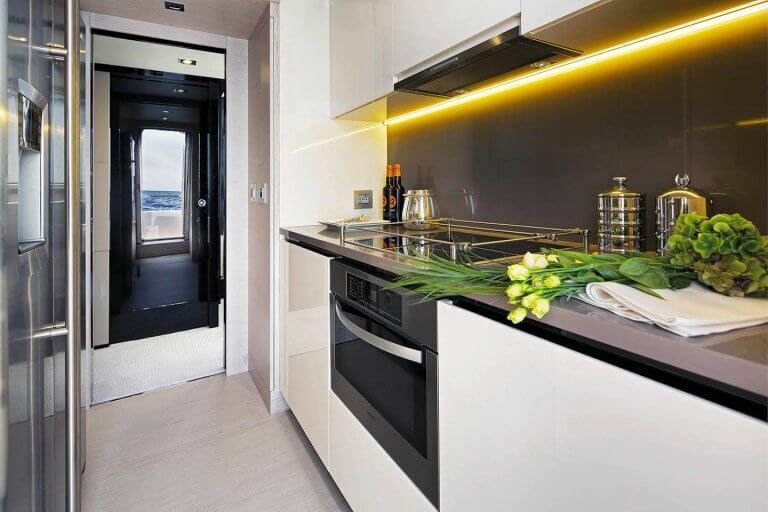 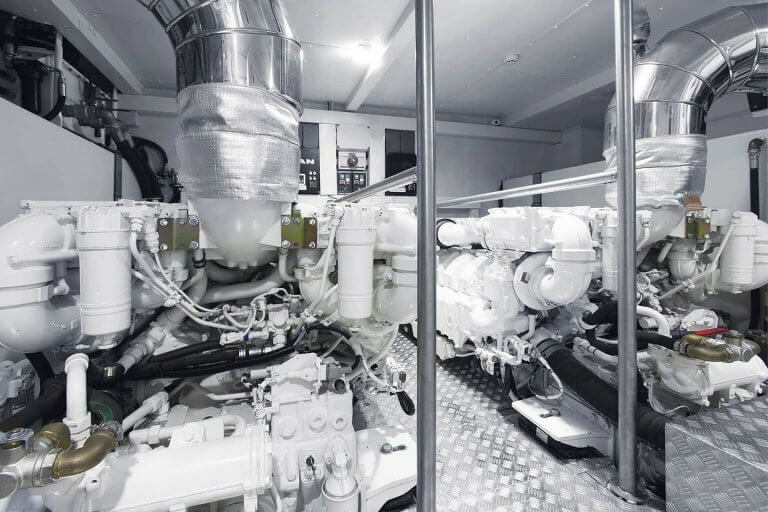 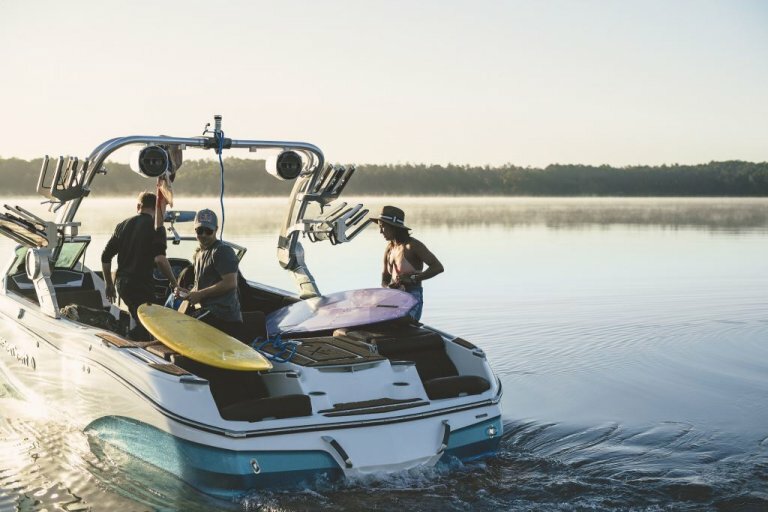 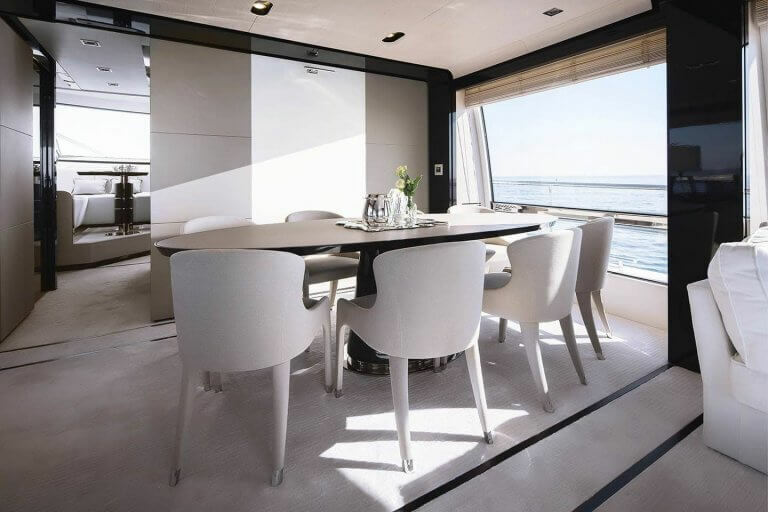 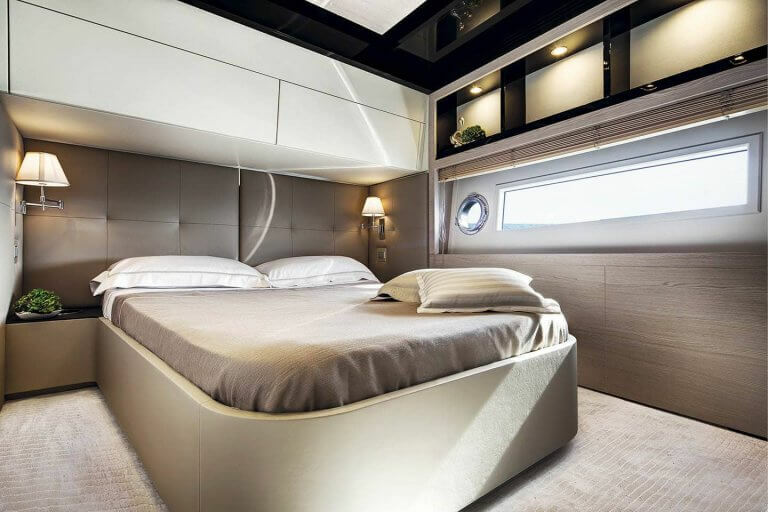 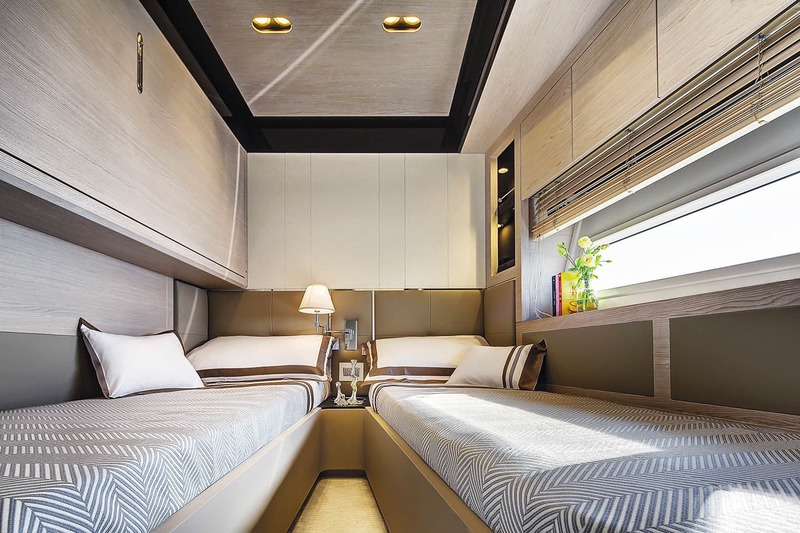 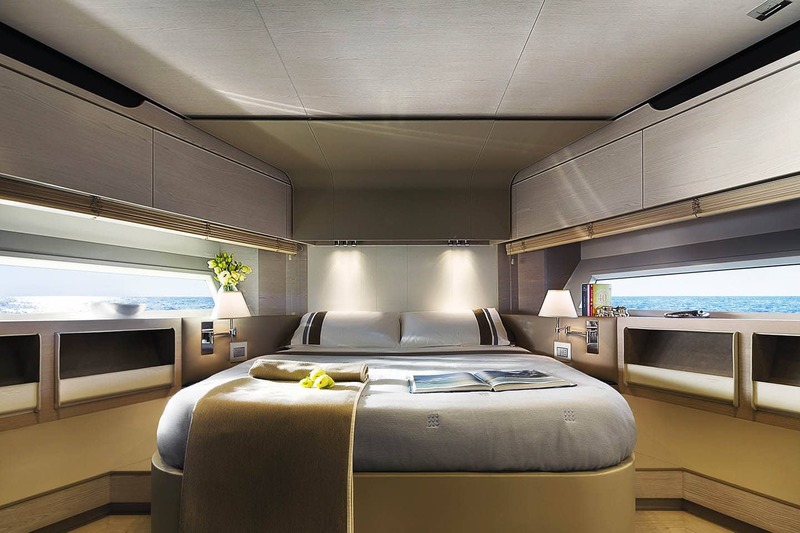 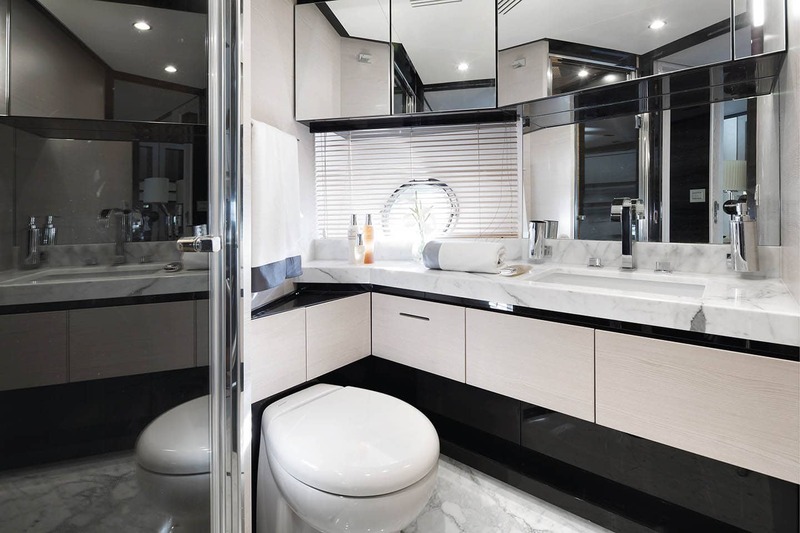 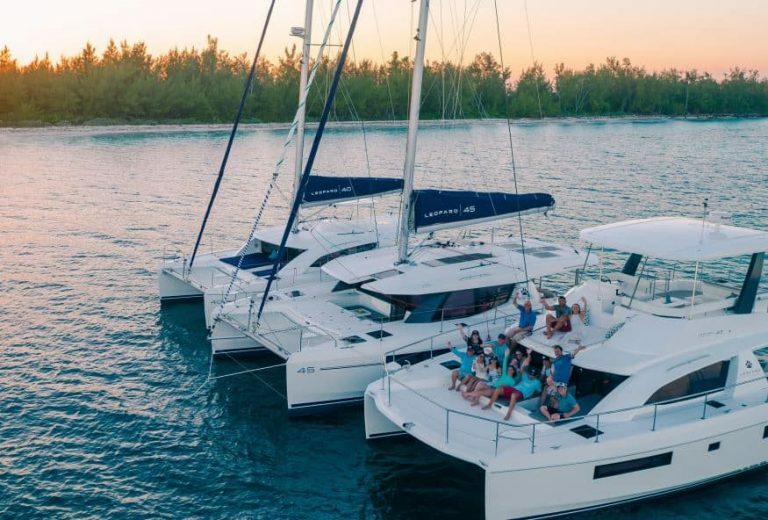 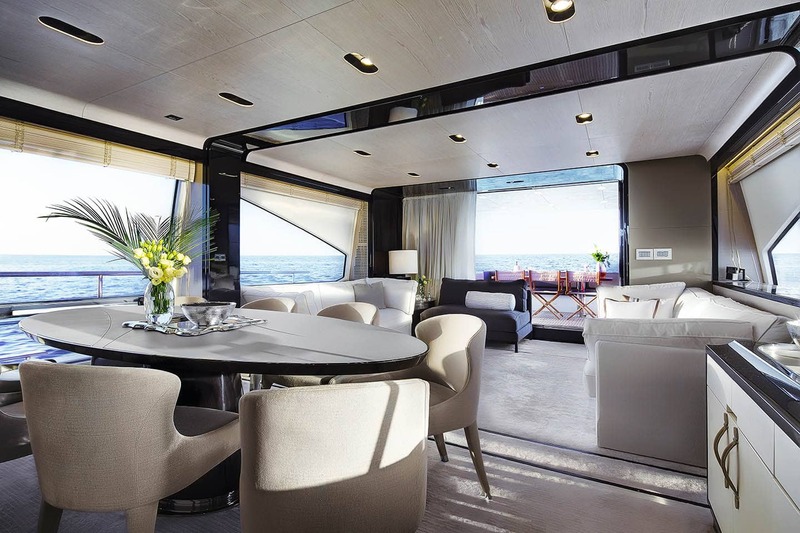 The full beam master cabin is impressive with a large en-suite that runs laterally featuring a large rain shower and Jacuzzi, there is also a walk in wardrobe and a small dinette with lounge chairs to complete the master area.